Ariat Leather Care Black Polish. 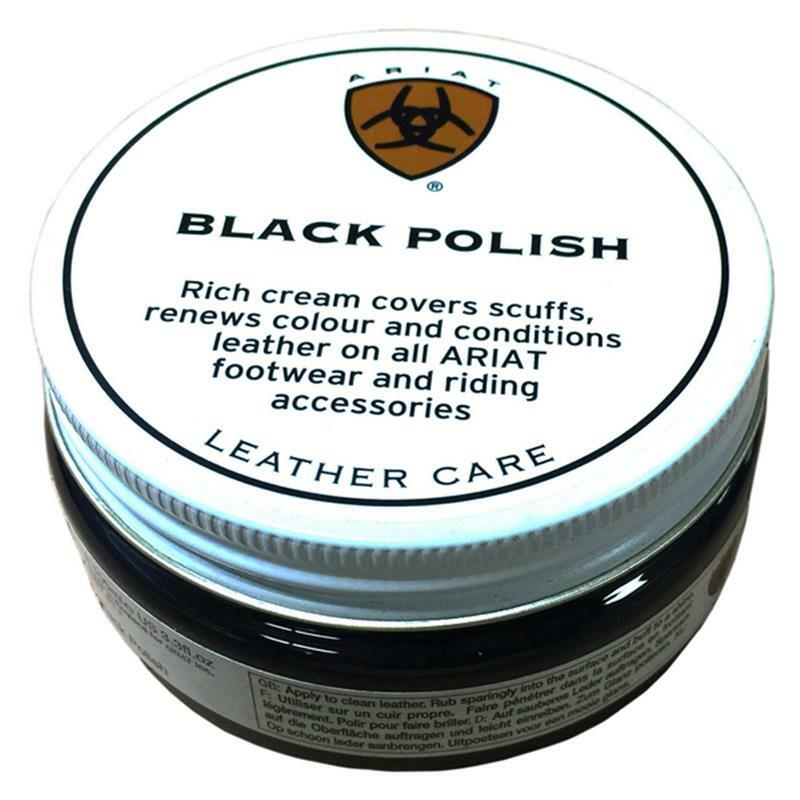 A rich leather care cream from Ariat that covers scuffs, renews colour and conditions leather on all Ariat footwear and riding accessories. Do not use on nubuck, distressed leather or suede.